With software from eDocSolutions you can track all your tax documents. In many cases the document is the data. eNable! 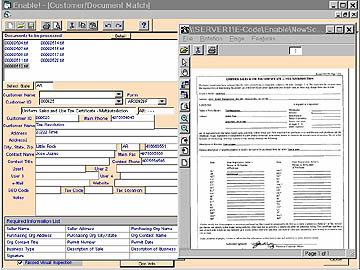 stores the images, validates the data on the forms and manages the documents. 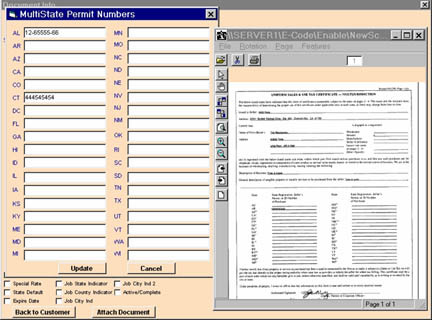 The system prints the image, the blank form or letters about the documents. You can report on the images & data, store the information in a database or transfer and view the images over the Internet. eNable! has TAXWARE STEP integration. eNable! has a Vertex Interface. Is there a document you need to track? We'd love to talk to you. If you are interested in tracking these or any other types of documents, please e-mail us at: enable@edocsolutions.com or call us at 1-909-591-9543.